The latest title from Finnish developer Remedy Entertainment, Alan Wake’s American Nightmare is the highly anticipated follow-up to their 2010 hit Alan Wake. Currently it is an Xbox 360 exclusive, and was released on the Xbox Live Marketplace during the 2012 House Party promotion. When Remedy announced last year that the next Alan Wake title would be digitally distributed instead of getting a full retail release, fan speculation ran the gamut from DLC expansions to the original, to a full retail-sized game released in several small “episodes”. Although Remedy stated during this period of speculation that this second installment would not be a direct sequel, in-game dialogue says otherwise. American Nightmare would seem to fit most definitions of “direct sequel”, in that it clearly follows the story of the original and even explicitly states several times that two years have passed since those events. This concept of a small “placeholder” title to tide fans over and help secure funds for a hypothetical full sequel is pretty unique, but does it work? I never got around to reviewing the original Shank. It came out to somewhat mixed reviews, and that coupled with a price point on the high end of the downloadable game scale kept me away. I eventually bought it on sale, however, and immediately regretted my decision to wait. Somehow Shank‘s developers, Klei, had distilled everything I loved into one glorious revenge-fueled brawler. It was like Metal Slug with a much more elaborate combat system, fused with an amazing unmade Robert Rodriguez film. With my backlog, playing through a game twice is pretty rare these days, and I have completely lost track of the times I replayed Shank, whether front to back or just an individual level here and there. The game never seemed to inspire much talk around the Internet though, so when a sequel sprang up seemingly out of nowhere I was more than pleasantly surprised. As a bonus, Shank 2 released at a lower price point than the original, at $10 or 800 Microsoft Space Bucks (the price of the original has also been lowered to match, go buy it!). I jumped on it day one but a series of computer issues prevented me from doing a review. Well, no longer! How does the sequel hold up against the original? Read on and find out! The Simpsons Arcade: Fireworks Candy & Puppy Dogs Store, or Box Factory? 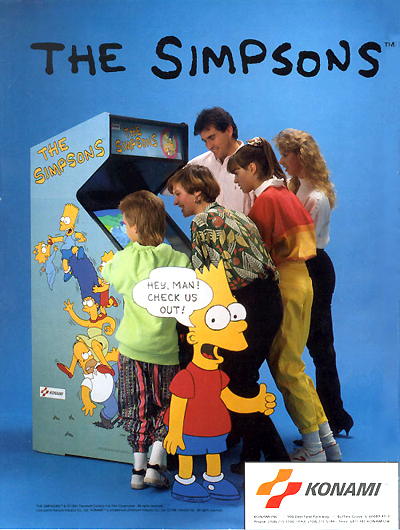 It’s been just over 20 years since The Simpsons arcade debut, and fans have been demanding a home port ever since. It was passed over during both the 8 and 16-bit eras in favor of a handful of disappointing titles published by Acclaim, while Konami released successful ports of several other arcade beat-em-ups to the home market. Finally, a year after their port of fellow two-decade holdout X-Men, Konami and Backbone Entertainment have finally brought The Simpsons to XBLA and PSN. Was it worth the wait, or have the ravages of time once again proven victorious over sweet, sweet nostalgia? Insanely Twisted Shadow Planet is an artistically designed exploratory shooter for Xbox Live Arcade, developed by Shadow Planet Productions. Released on August 3, 2011 as part of Microsoft’s annual “Summer of Arcade” promotion, the game met with generally excellent reviews. Touted by many as a spiritual successor to games such as Super Metroid (SNES) and previous Summer of Arcade hit Shadow Complex, it certainly came across as a must-play title. But is it all it’s cracked up to be? I’ve finally gotten around to playing it, and I feel I’d be remiss in my duties if I didn’t make the Internet aware of my opinion. To say that Bastion is the best Live Arcade game that I’ve played this year would be a bit of an understatement. This is perhaps my favorite game of the year, period. Released in 2009 as part of Xbox Live’s Summer of Arcade promotion, Twisted Pixel’s original ‘Splosion Man title met with generally favorable reviews from critics and fans alike. Anyone claiming to not enjoy the game likely decided this about 2/3 of the way through when the difficulty curve reached 90 degrees, and other Arcade titles enticed them away from ‘sploding themselves into the same unavoidable meat grinder for the 500th time. Two years later, in a release arguably more anticipated than any of this years “proper” Summer of Arcade titles, Twisted Pixel has finally given us a sequel in Ms. ‘Splosion Man, available exclusively on Xbox Live Arcade for 800 MSP.